Dont worry about this. It is a bug in rbfeeder (rbfeedee's GPG signature in Raspbian repository), which prevents update of apt cache, and update of rbfeeder. Your rbfeeder will still work normally. The problem is more severe with latest version of Raspbian i.e. "Raspbian Stretch" image. The bash script below fails to install the rbfeeder on "Raspbian Stretch" . I do have stretch and noticed it failed to install the feeder...I installed it via apt-get. I have sent an email to AirNav System's Andre Brandao and Jonis Ceara about this issue in Raspbian STRETCH, and they are looking after this bug. Hope it will be resolved soon. Meanwhile there are two workarounds, one easy, other difficult. Type "y" and press Enter key. The installation process will continue and complete the installation in a minute or two. Now scroll down to following lines, and delete -y as shown in red, and save the file (Ctrl+O) and close editor (Ctrl+x). The script will start installation process. In Raspbian STRETCH, the dump1090-mutability fails to open the DVB-T dongle. 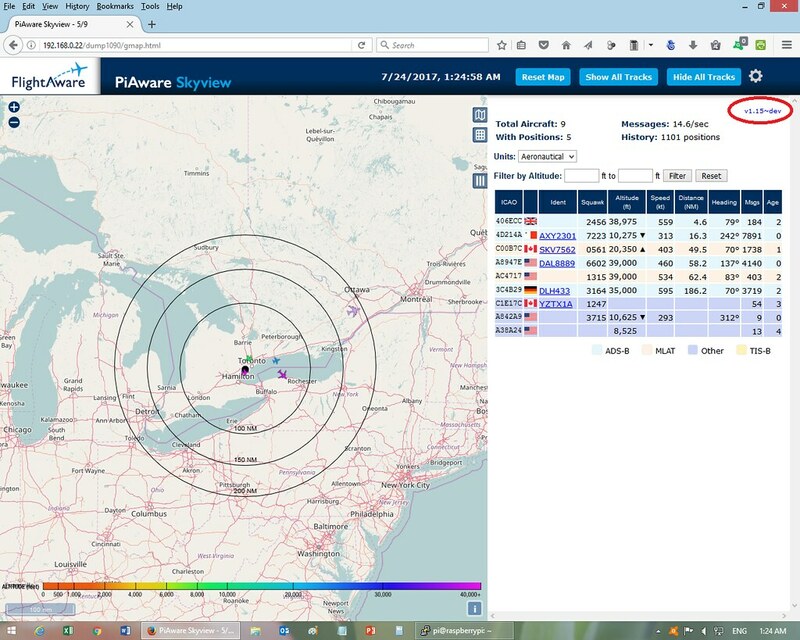 (a) It does not have any data available for the feeders, which fail to feed the Radarbox24 and other sites. AJAX call failed (error: Not Found). Maybe dump1090 is no longer running? The problem is caused by missing file "rtl-sdr.rules". 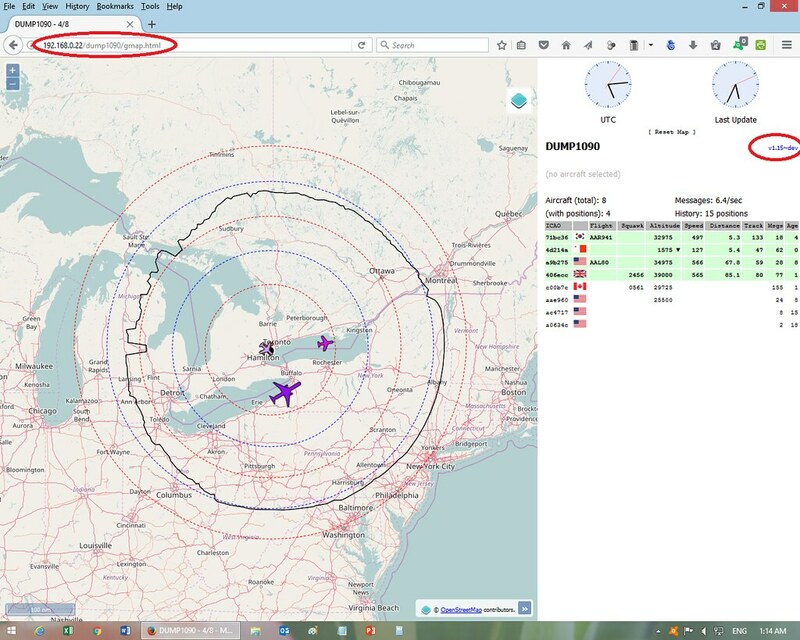 sudo wget -O /etc/udev/rules.d/rtl-sdr.rules "https://raw.githubusercontent.com/osmocom/rtl-sdr/master/rtl-sdr.rules"
Flightradar24 Feeder fails to install on Raspbian STRETCH by automated script/bash script. Reason is missing package "dirmngr"
I am trying to install dump1090-fa with Piaware and Fr24feed in a C.H.I.P. (http://getchip.com), the two feeders report being active, dump1090-fa gives me the messages I put below, how can I fix this? How did you install dump1090-fa? If you used method given in Option-2 of this thread, i.e. package install, then it will not work on CHIP, as that package has been built for Raspberry Pi, not for C.H.I.P. For this reason I have installed dump1090-mutability on my CHIP using Option-1 of this thread. In this method, a pre-built package, like dump1090-fa, is not used. Instead the package is built on the computer (RPi or CHIP) and matches it and works fine. I will suggest you flash your CHIP with fresh copy of Operating System, then install dump1090-mutability on it using Option-1. Now follow procedure in OPTION-1 to install dump1090-mutability. Thanks Abcd567, the installation of dump1090-mutability is perfect. I only need to solve <mi-ip>: 8080, which does not finish loading the page, but it may not be necessary. I'm going to try other feeders. I only need to solve <mi-ip>: 8080, which does not finish loading the page, but it may not be necessary. As installation of dump1090-fa fails on C.H.I.P. , you have installed dump1090-mutability. Functionally dump1090-fa is actually dump1090-mutability customized for Flightaware. Their receiver-decoder software is same, but the GUI/Skin (i.e. Map) is different. The reason most user want to install dump1090-fa is that its SkyView Map looks much attractive than Map of dump1090-mutability. (1) Download the dump1090-fa files from github. (2) The above command will download a folder dump1090, which contains another folder public_html. Copy the folder public_html to folder /usr/share/dump1090-mutability. (3) Now go to folder dump1090-mutability. This preserves the original html folder, and enables to revert to original in case something goes wrong. (5) Now change the name of folder public_html to html. (6) Now go to folder html and change name of file index.html to gmap.html. (7) Now reboot for changes to take effect. (8) After reboot, reload the browser. If new map does not show, clear browser's cache (Ctrl+Shift+Delete) and then hard reload the browser (Ctrl+F5). Good guide for Raspberry Pi users.